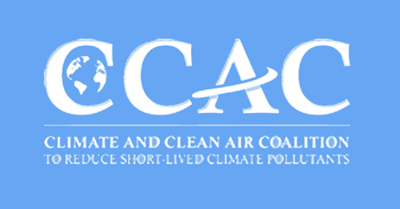 aggressive CO2 mitigation is essential to combat the resulting climate change. But this is not enough. planet by 2.4°C or more during this century. Reduction of SLCPs, in addition to CO2 mitigation, is essential for keeping the cumulative warming under 2°C during this century. Thus it is nearly impossible to meet the Copenhagen protocols without reducing SLCPs. Second is the recognition that without fast-action, warming may cross the 1.5°to 2°C threshold by the middle of this century. Reducing SLCPs is the most effective strategy for preventing this in the short-term, since most of their warming effect disappears within weeks to a decade and a half after they are cut. Third is the recognition that in addition to being climate forcers two of the three SLCPs are also potent air pollutants and cutting them will prevent millions of premature deaths ever year and protect tens of millions of tonnes of crops. Fourth is the recognition that the health benefits and crop improvements will accrue primarily in the nations that mitigate these pollutants. Fifth is the recognition that there are practical and proven ways to reduce all three of these pollutants and readily available laws and institutions to support the reductions.